One interesting concept that I hadn’t really thought about until seeing mentions of it on the Internet is that of how science differs from reason. The two work in tandem, of course, but reason is an internalized process, while science is based on observation and testing. This links to Greek philosophy, and how in modern times we teach both the importance of Aristotle’s contributions to academia AND that he was wrong about pretty much everything. It’s easy to dismiss him as an idiot, but he clearly wasn’t. 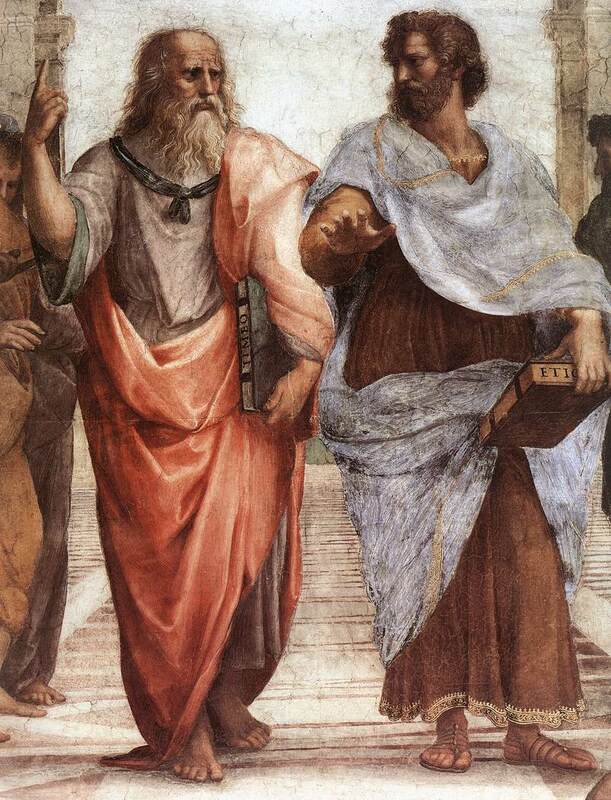 Scientific study as we know it didn’t exist back then, and Aristotle actually made significant progress toward our modern understanding of the discipline over that of his teacher Plato. While Plato proposed the idea that everything on Earth was merely a reflection of true reality, making observation of limited value in understanding how the world works. Aristotle, on the other hand, was more of an empiricist, promoting the value of evidence. Most of his observation was informal, but he did perform actual research. Still, however, he worked mostly within the model of reason being of the utmost value, which is one reason why so many of his ideas were wrong. One of the most famous examples is that he thought a heavier object would fall faster than a lighter one. It seems like it makes sense, and it’s likely that anyone who hadn’t yet learned about gravity would come to that conclusion on their own. On the other hand, how hard would it have been for Aristotle or one of his fellows to have dropped two rocks of different weights from the top of a building and seen what happened? While the lack of modern measuring equipment was a hindrance in many respects (you try performing time-sensitive experiments using a sundial and see what happens), it wouldn’t have been a particular problem in this case. He also believed that men had more teeth than women and that humans had only eight ribs on each side. It was pretty much accepted fact for centuries that men had one fewer rib than women, with the story of Adam and Eve being cited as the reason (never mind that, even if this story were literally true, genetics don’t work that way), but this didn’t come directly from Aristotle. It does, however, lead into the great reverence that the medieval church held for Aristotle, even though the guy obviously didn’t hold the same religious ideas. Greek philosophy was, however, linked to Christianity from the very beginning. Just look at how the Gospel of John starts out with the Platonic concept of the Logos. The problem with medieval thought wasn’t the acceptance of Aristotle per se, but rather the dogmatism that didn’t hold with questioning established ideas. Certainly the Greek philosophers themselves frequently disagreed with each other. The people who held these ancient notions to be unquestionable truth were using neither science nor reason, and that’s something I might well expound upon in a future post. This entry was posted in Christianity, Greek Philosophy, Philosophy, Religion, Science and tagged adam and eve, aristotle, gospel of john, gravity, logos, plato, reason. Bookmark the permalink. For an interesting, brisk, and imaginative read on the Medieval attitude to and use of Classical learning, try C. S. Lewis’ “The Discarded Image” (one of his academic, not Christian apologetic, works).